We all want to give our kids a great childhood, and a brilliant bedroom is a good place to start. Children’s bedrooms are such important spaces, where they can rest, play, grow and learn and spend time with their friends. It’s important to create a space that suits their needs and reflects their developing personality. 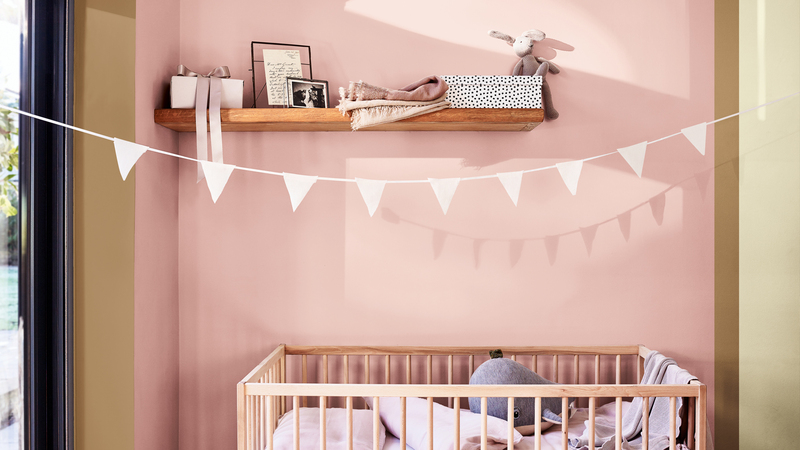 Creme Brulee, Dulux Colour of the Year 2019, is wonderfully versatile and can help to create the perfect mood for your little one – whether that’s vibrant or soothing. In this room the mood is relaxed but sophisticated. Set against soft pink and striking burgundy, Creme Brulee takes on a lovely golden tone for a luxurious quality that’s perfect for a precious new baby. Create a dreamy and serene child’s bedroom with soft pastel shades mixed with accents of Creme Brulee emphasizing door and window openings. Pale woods, charming pastel accessories and pretty printed textiles complete this calm and graceful look. Create a comfortable atmosphere in a young child’s bedroom with soft blue and rich terracotta orange. A painted panel highlights the space around the bed and creates an interesting feature. Choose contrasting colors for added vibrancy and edge your panel in a slim painted ‘frame’ of Creme Brulee to give it a rich quality that is balanced by simple furniture and warm woods. 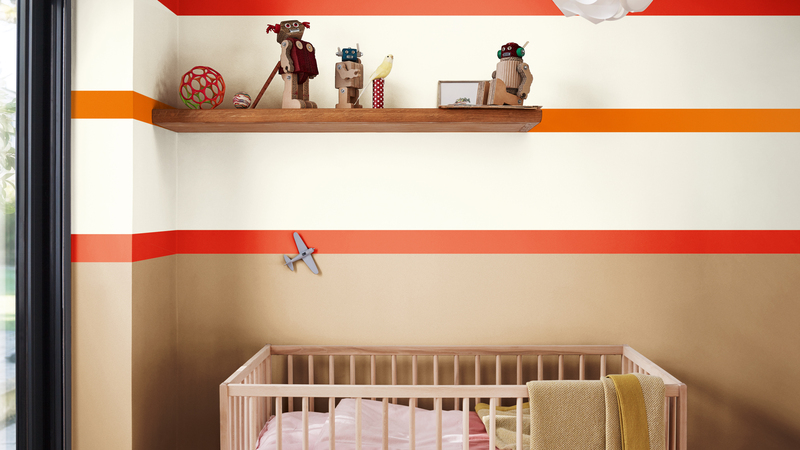 If you want your child to have a bedroom that’s a little different, then this playful paint colour palette is for you. Here bold and zesty brights are mixed with crisp whites and warm neutrals, including Creme Brulee, for a refreshing and energized look that stays soothing enough for nap time. Add interest by painting horizontal stripes in complementary bright shades for a statement wall with impact.